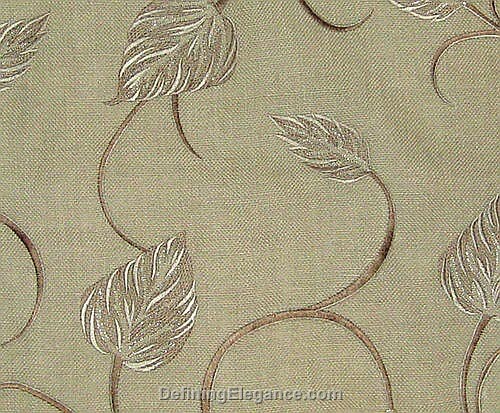 Muriel Kay Graceful - Linen Drapery Panel - Swatches may be available. Linen drapery panels with embroidered long water leaf like motif, drapes beautifully and is available in one colorway. Sample fabrics may be purchased and returned within 15 days for a full refund. 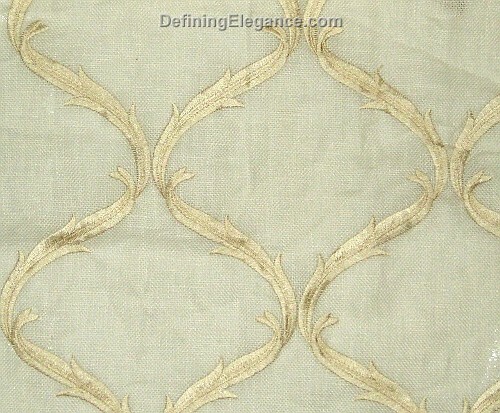 Photo shows Graceful in Ivory in the rod/back tab style. 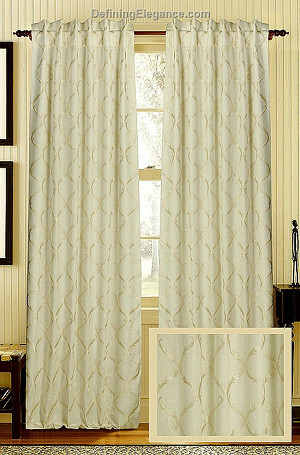 Muriel Kay Graceful Drapery Panel - 84"